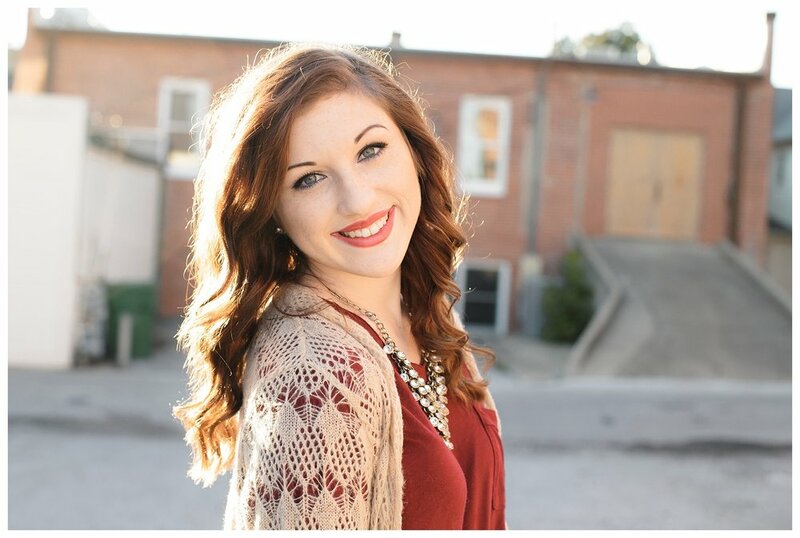 Alli's beautiful senior photos were taken in Downtown Rogers and the surrounding area this past fall. The weather was absolutely beautiful and just a great day to be outside enjoying the sun. Alli's outfits were perfect for classy chic fall photos! I loved her flowy tan dress and navy plaid scarf. Her beige knit sweater paired with a deep red shirt and navy skinny jeans captured her sweet and fun personality perfectly! We had such a blast walking around Rogers and finding the perfect spots for her photos. Congratulations on your upcoming graduation, Alli!